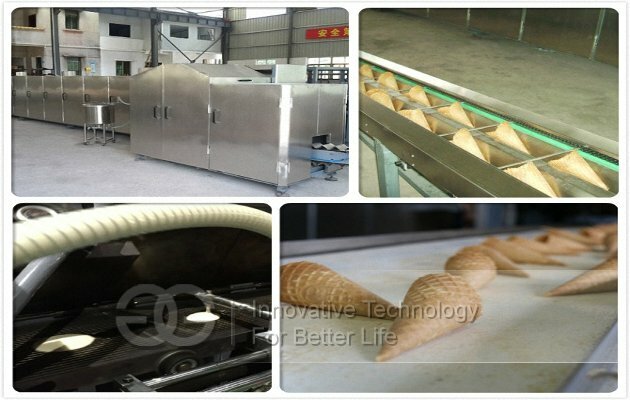 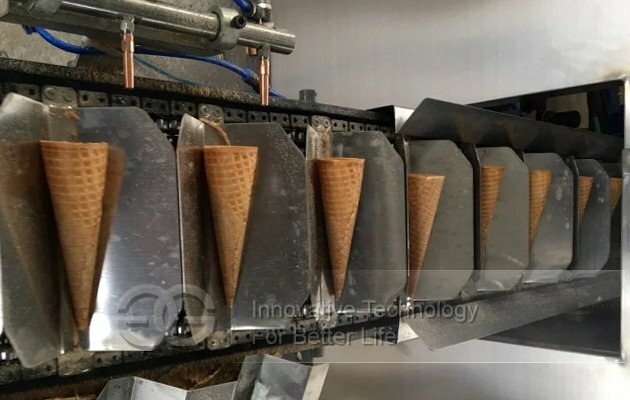 This ice cream cones making machine can make different products within round biscuit,sugar rolled cone,egg roll with changing the different forming devices. 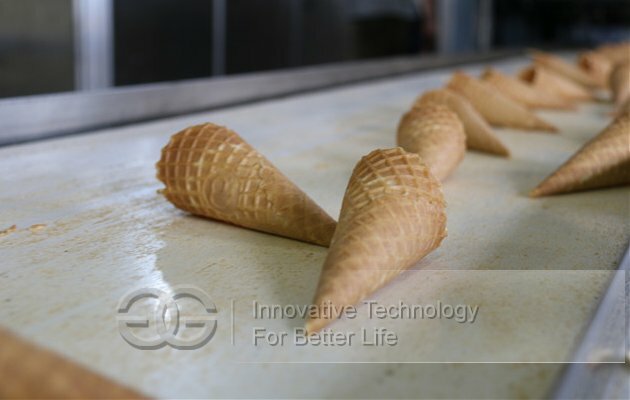 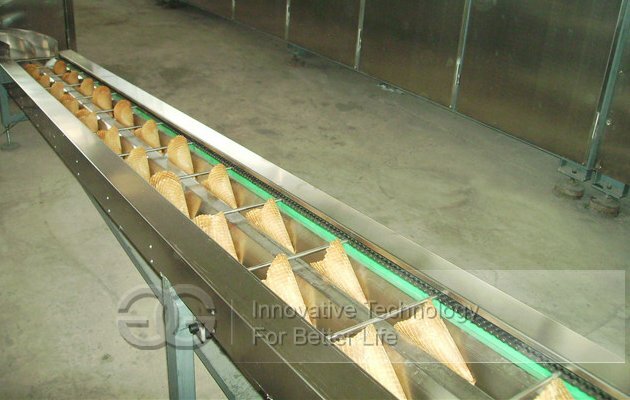 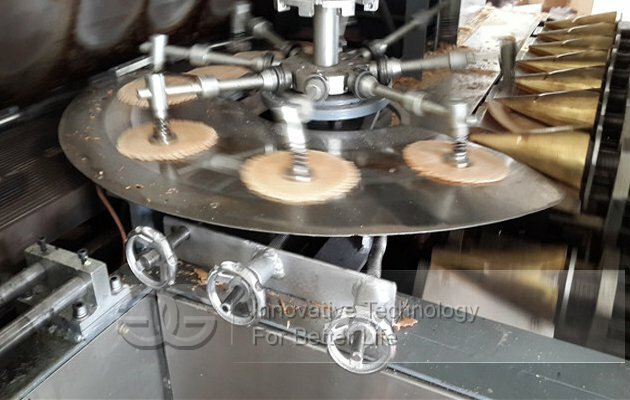 Ice Cream Cone Production Line: there is one piece of waffle each baking plate.It can make the cones within 185mm long. 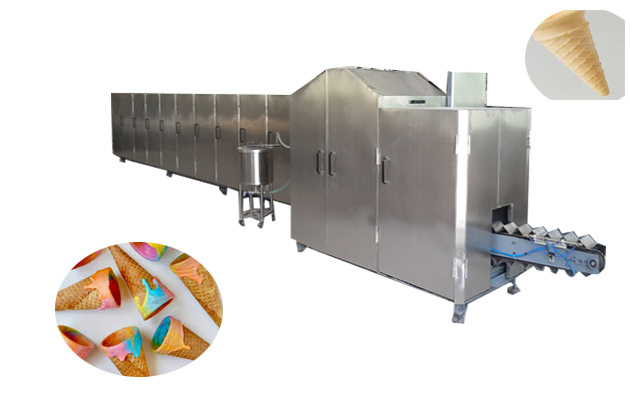 And we can design and make other models and specifications according to the different requirements from the clients. 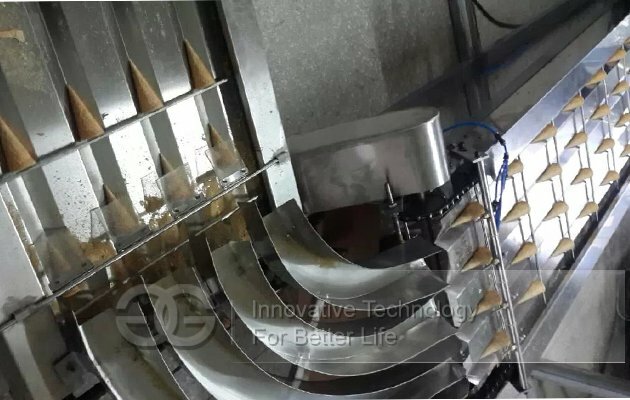 Feathers:Full automatic filling paste,baking,rolling and conveying-counting.